Today I purchased a new car seat for my young one. The amount of safety technology they put in to car seats for little ones is astonishing. I think that an army of engineers and crash collision experts spent years developing the safety technology in the car seat. The safety features of the car seat, combined the the safety features of modern automobiles such as front and side airbags, ABS breaks, re-enforced steel etc. can really give you a sense of security. Did I mention the sheer selection of car seats on the market? The amount of brands, combined with the amount of options makes your task as a parent a difficult one. If the sales person doesn’t know anything about the brand or safety features, then you’d better hit the internet and hit it hard. The safety of your child isn’t something you want to take for granted. Which got me thinking. If child car seat and auto manufacturers are putting in so much thought in to child safety; what are the Courts doing to protect the interests of children and minors? Rule 7.08 protects the rights of minors, which are, for the purposes of the Rules of Civil Procedure; “parties under disability” under the law of Ontario. Any person under the age of 18 is a “party under disability” and will need to be represented by an adult for the purposes of the law suit. If a settlement is entered in to on behalf of the minor, that settlement requires the approval from a Judge. A Master or Justice of the Peace will NOT suffice. It’s gotta be a Judge of the Superior Court of Justice. 7.08 (1) No settlement of a claim made by or against a person under disability, whether or not a proceeding has been commenced in respect of the claim, is binding on the person without the approval of a judge. R.R.O. 1990, Reg. 194, r. 7.08 (1). (2) Judgment may not be obtained on consent in favour of or against a party under disability without the approval of a judge. R.R.O. 1990, Reg. 194, r. 7.08 (2). (3) Where an agreement for the settlement of a claim made by or against a person under disability is reached before a proceeding is commenced in respect of the claim, approval of a judge shall be obtained on an application. (c) where the person under disability is a minor who is over the age of sixteen years, the minor’s consent in writing, unless the judge orders otherwise; and (d) a copy of the proposed minutes of settlement. R.R.O. 1990, Reg. 194, r. 7.08 (4); O. Reg. 69/95, s. 18; O. Reg. 575/07, s. 10. (2) Any money paid to the Children’s Lawyer on behalf of a person under disability shall be paid into court, unless a judge orders otherwise. R.R.O. 1990, Reg. 194, r. 7.09 (2); O. Reg. 69/95, s. 19. If you got a bit tired or bored reading that legal jargon, I get it. Pretty much, what this means is that whenever you settle a case on behalf of a minor, the Court needs to approve of the settlement. If the Court does not approve the settlement, then there’s no deal. Why does the Court need to approve a settlement for a minor? Another great question! 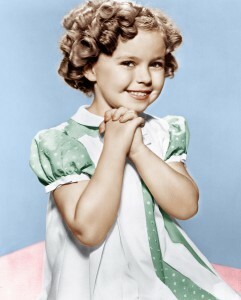 Ever hear of the Coogan Bill, or the Shirley Temple Rules in the State of California? Basically, both were prominent child actors who earned a LOT of money. But, because they were children at the time they both earned the big bucks; they were too young to control their finances. Their parents steered their respective financial ships. The result was that the parents spent the modern day equivalent of millions on themselves, instead of saving it for their children (who actually made the money). We want to avoid this type of situation here in Ontario. That makes perfect sense. After all, do we want to support a society that robs kids for their money? The Courts in Ontario seek to protect minors to ensure that settlements are fair, and properly compensate them for their injuries. The money can then be paid in to Court; and held by the Accountant of the Superior Court of Justice (with moderate interest), until such a time as the minor reaches the age of majority (18). If the money is paid in to Court, the minor or their parent is given a receipt (like a Magical Ticket for Money like WIllyWonka), which only the minor can turn in once the minor is old enough. It’s a matter of walking up to a counter in Toronto, presenting that magical ticket, and getting your money with interest. Now, it’s not a boat load of cash that’s presented to you at the Accountant for the Superior Court. Rather, they give the recipient a cheque or a bank draft. All of this is done to ensure that the parents don’t steal the kid’s money. I think it’s a pretty good safeguard, don’t you? There are situations where not all of the money needs to be paid in to Court. Rather, just a portion of the money. In the past, I’ve represented single parents who find themselves struggling to make ends meet. In between paying rent, food, clothes, the phone bill etc; times can get tough. The money recovered in a lawsuit can be a significant windfall to a family and really help with the management of household finances. In some instances, a Judge will allow a portion of the settlement to be paid to the Litigation Guardian for the benefit of the household unit immediately, while another portion of that money is paid in to Court. But beware, in these situations the Office of the Children’s Lawyer and the Office of the Public Guardian and Trustee will scrutinize any spending done on behalf of the minor to ensure that it’s appropriate. Things like paying for food, clothes or shelter will likely be ok. But paying for things like an upgraded cell phone plan, a new flat screen TV, or some other material purchase which isn’t reasonable or necessary won’t fly. In those instances, the Office of the Children’s Lawyer or the Public Guardian and Trustee can seek a payback on the part of the minor. This sort of litigation turns nasty very quickly and should be avoided at all costs. On top of that, you’ll just look like a selfish parent who just cares about the money and not what’s best for your child. Enough law talk? Sure. I want to share with you my experience today at Toys “R” Us. The store I went to hasn’t changed at all since the time I was a kid. This isn’t a good thing. The appearance of the store was terrible. The service, if you could call it service was deplorable. Nobody knew what they were doing and nobody had any knowledge whatsoever about their products. I was amazed that they could sell $1,000+++ items without knowledgeable staff to explain how the products worked, or how they differed. The only reason I was shopping there was to use some gift certificates to purchase a car seat. Had I not been given these gift certificates, I would not have entered the store in the first place. I would rather shop in a store where there are people there to help you; who are HAPPY to help; and who can give you answers to my product inquiries. Just telling me to check it out on line isn’t sufficient. It’s no wonder that brick and mortar stores are going the way of the do do bird when you receive service like I received today. I just hope that the car seat that I picked is a strong and safe one. One that we will NEVER have to rely on.